ust imagine how beautiful will be Blanket with this Rainbow Hexagons. Thanks to author From Crafty CC for beautiful design and free clearly explained Written Pattern. 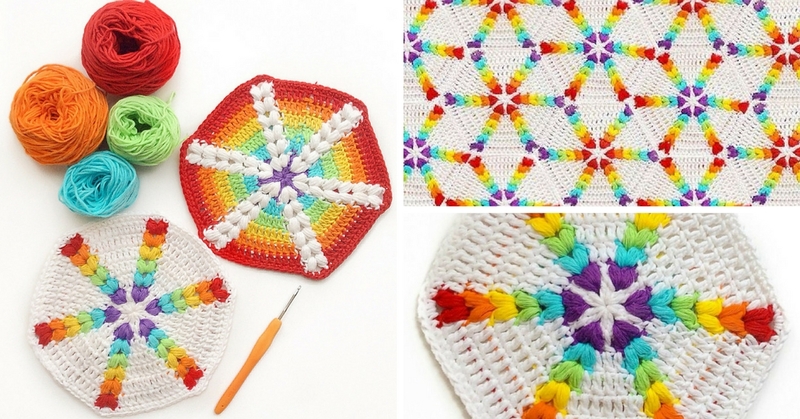 With This awesome design you can crochet many things with which you can make your home interior excellent. Make your everyday life more attractive with your crafty hands and with help from Great authors. Good luck and Please enjoy.